Having visited a fair amount of Southeast Asia now, I can safely say Indonesia is probably my favourite of those countries so far, magnificent wildlife, incredible diving, rolling mountains, this diverse country has SO much to offer. 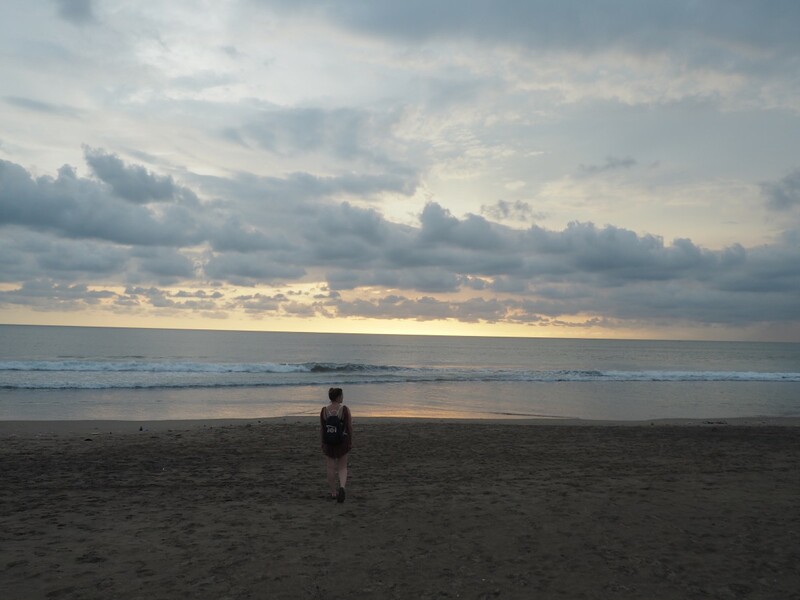 Travelling around Indonesia is really easy and safe, meaning we saw so much during our 2 weeks in Indonesia. We travelled around Indonesia in November, the very start of their summer, visiting during this time meant we had great weather but we also managed to beat many of the crowds which visit a few months later. 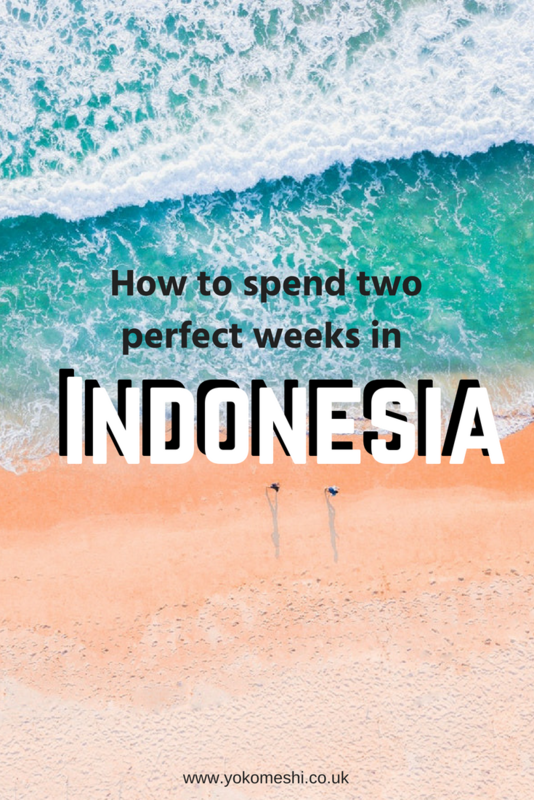 Despite being one of the furthest South East Asian countries from the UK, flights are regular and can be found for a very decent price, travel inside the country is also surprisingly easy and quick with multiple internal flights available meaning two weeks in Indonesia on annual leave is possible without stress. 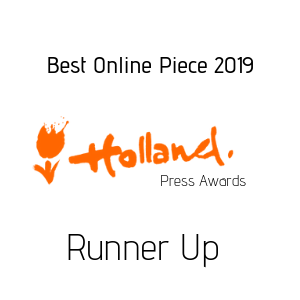 As always we used Skyscanner to find the quickest and best value flights. Language: Bahasa Indonesia is the official language, and will be understood by most if not all people. However, multiple languages are spoken across Indonesia with most locals being able to speak English. At no point did I find a language barrier issue at all. Blue Bird Taxis: A company called Blue Bird are the official taxis of Indonesia, they are easily recognisable as they are painted blue with a bird on them. For safety reasons, where possible always try to travel in one of these taxis. Indonesia is huge: A drive from one end to the other end of Sumatra, the largest Indonesian island, will take you about 50 hours. That’s longer than from New York to Los Angeles. And that said, Sumatra doesn’t even cover a fourth of the size of Indonesia. Luckily, there are a large amount of internal flights across the country, most of which are very affordable. Religion: Indonesia is a predominately Muslim country, just like everywhere else in the world remember to respect local cultures. You also have to expect hearing prayer calls several times a day, depending on where you stay. Visa: Most nationalities are allowed to enter the country without a visa for no longer than 30 days, one of these include the UK. Be sure to check your country regulations before travelling. Fly into Denpasar airport to start your two week Indonesia trip in Bali. We chose the fly into Denpasar from London as the flights worked out cheapest and most convenient for the location which we wanted to visit. However, Jakarta is also a good option from the UK, so I would advise researching these flights as well to see what works for your 2 week Indonesia holiday. 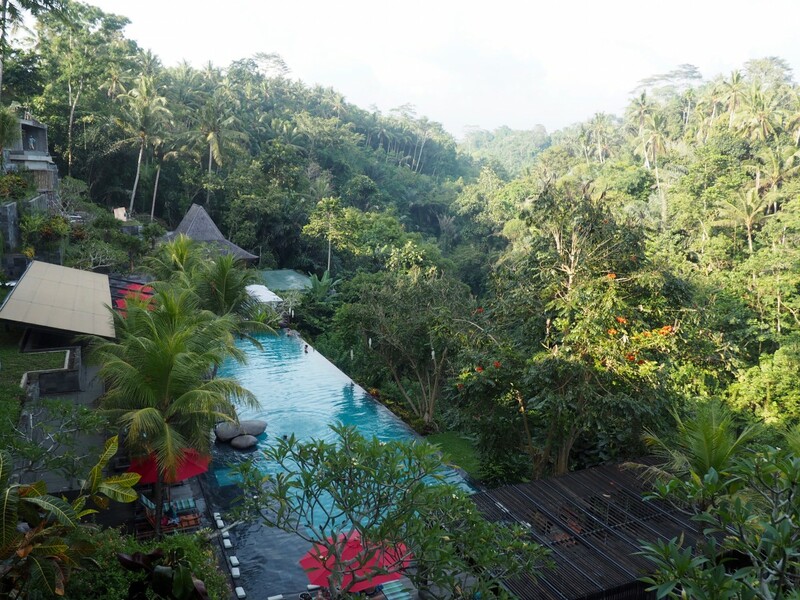 Located about an hours taxi drive (£15) from Denaspar Airport, Ubud is a must. 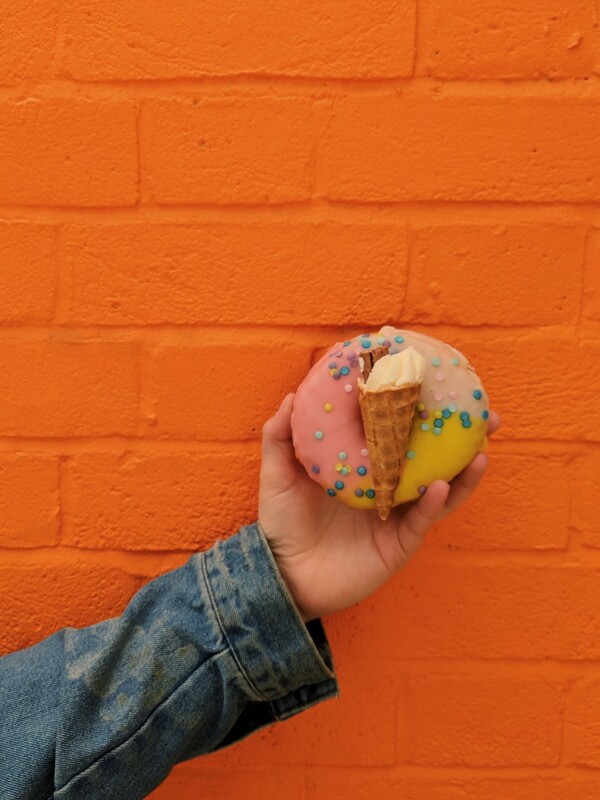 The spiritual town is known for its many ancient temples, countless yoga Barns and never-ending supplies of coffee and smoothie bowls, spend time wandering the streets and exploring the treasure trove stores. Where to stay in Ubud: Ojek’s Homestay – Well-positioned in Ubud, Ojeks Homestay is the ideal point of departure for your excursions in Bali. The excitement of the city centre is only 36.5 km away. With its convenient location, the hotel offers easy access to the city’s must-see destinations. Jungle Fish – This is an expensive day out, however it is really relaxing. Jungle fish is an infinity pool over looking a jungle. Your entry includes a lounger, where you can order drinks and food to. 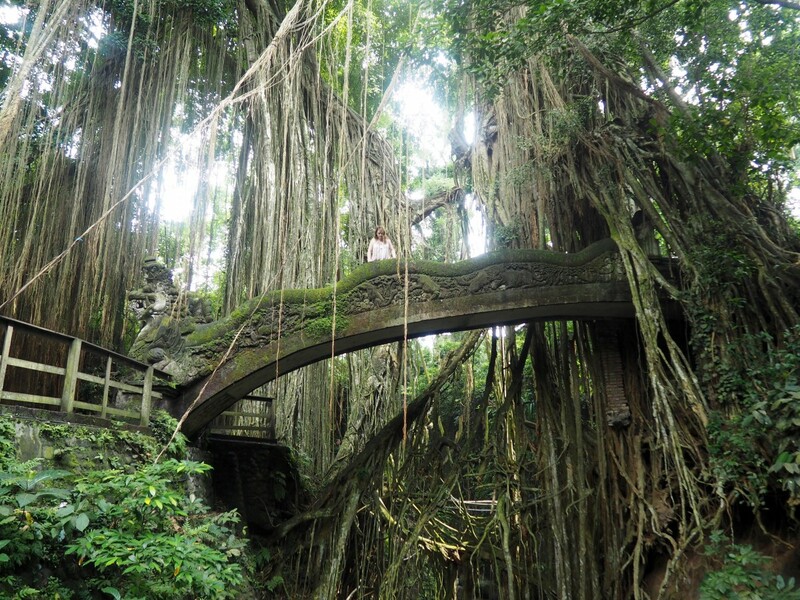 It is a long walk for the main part of Ubud, so I would recommend taking a taxi there. Spend time eating at the many independent cafes and restaurants around town ( Average meal price £2-£7 each). 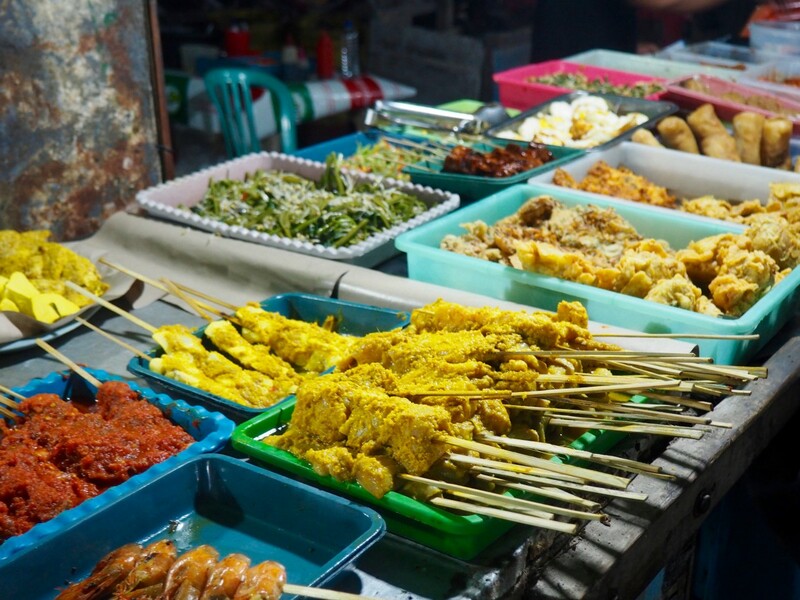 Where to eat in Ubud – Best places to eat in Ubud, Bali. 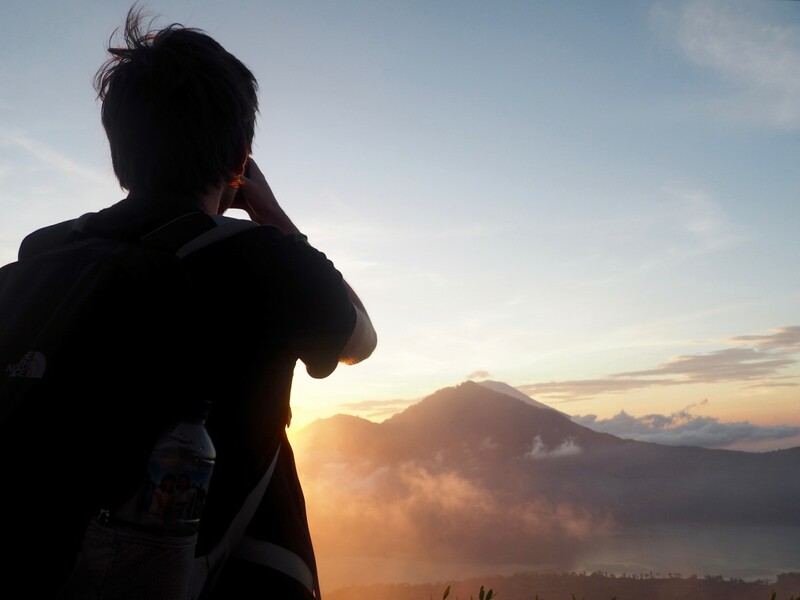 Ultimate Must-Do in Ubud – Hiking Mount Batur at sunrise, book when you arrive to receive the best price. 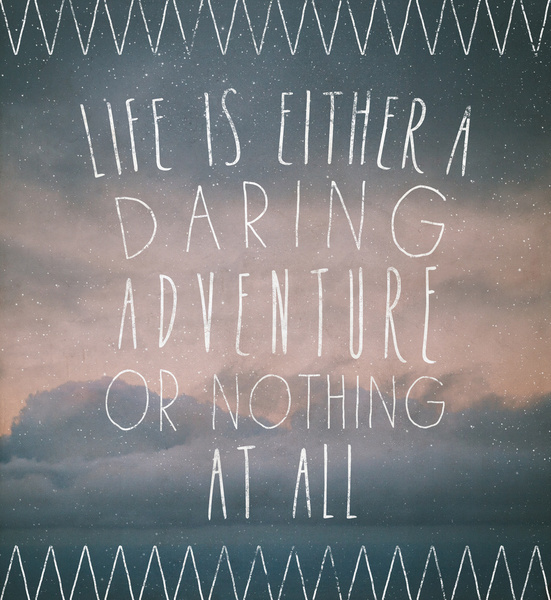 – Read my guide to climbing Mount Batur here. 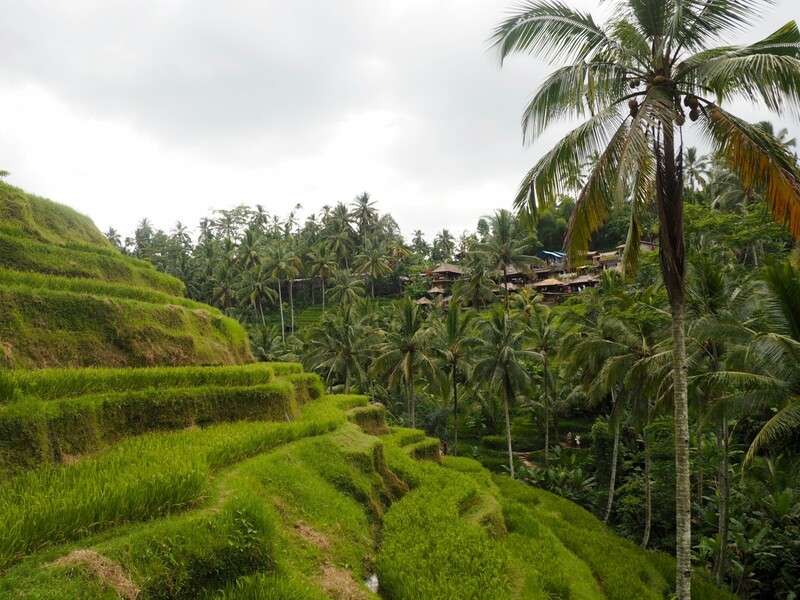 Top Tip for travel in Ubud, Bali – You can pay for a Taxi who will drive you around all the main tourist attractions for a set price while waiting for you in between but be sure to haggle and not accept the first price. Avoid in Ubud – The Luwak coffee plantations. Bali is known for its Luwak coffee, traditionally the coffee beans are collected after being digested by the Luwak in the forests, however, now these plantations realised that they can make a lot more money by keeping the Luwaks in small cages, overfeeding them on the beans and collecting them this way to meet the demands. 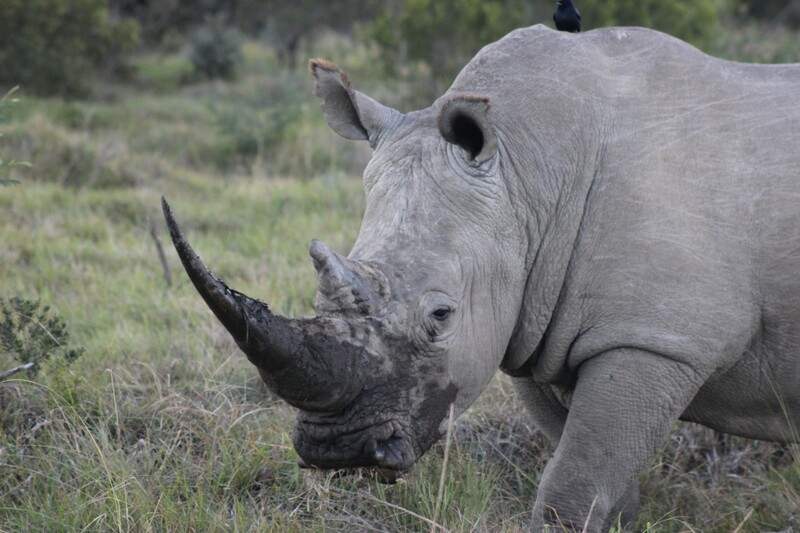 They are kept in poor conditions and not treated well, please do not support this. 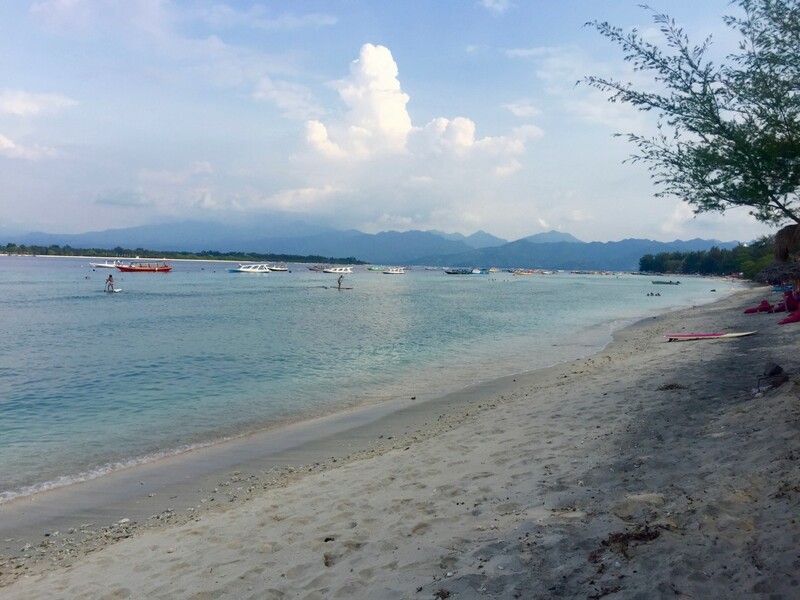 On our trip we based ourselves on Gili Trawangan and visited the other islands from there, it is the cheapest of the three islands but is considered the ‘loudest’, we visited in November and the island was pretty empty and the noise was not an issue. Gili Air is a lot less visited in comparison but this is reflected in the accommodation costs. Where to stay on Gili T – Little Coco’s bungalows – This property is 3 minutes walk from the beach. Situated in Gili Trawangan, Little Coco Gili Trawangan Villas offers accommodation with a private pool and free WiFi. This villa features an outdoor swimming pool. Go diving at one of the many incredible dive sites, The Gili Islands are fantastic for diving, Turtles are pretty much a guarantee as well as some smaller shark. Manta Rays are often spotted in this area as well, however for a better chance of seeing Manta Rays then Nusa Dua is recommended. If you do want to scuba dive in the Gili Islands, I 100% recommend Blue Marlin dive shop. Hire a bike and cycle around the island, most hotels will offer a bike rental service. Snorkel with the wild Turtles at Turtle Point. There are many bars along the beach where you can hire equipment for snorkelling. Check out my full guide on where to snorkel with turtles on Gili T.
Take a trip to Gili Air and Gili Meno – If you go to the main ferry point, you will be able to book a place one of the boats which go across daily. There are also many places on Gili T which offer excursion packages. Relax! 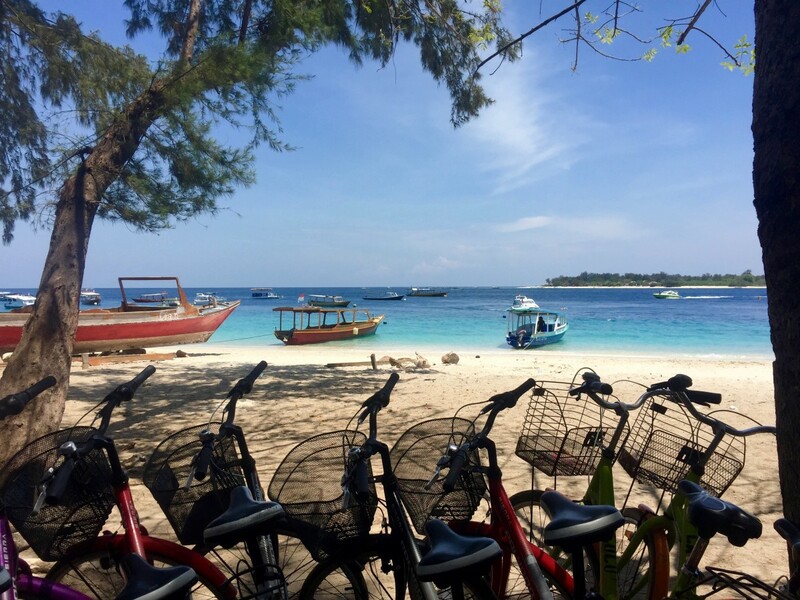 – As you will be taking this trip as part of your annual leave be sure to leave some time to chill out, the beaches of Gili T are the perfect place to do this. 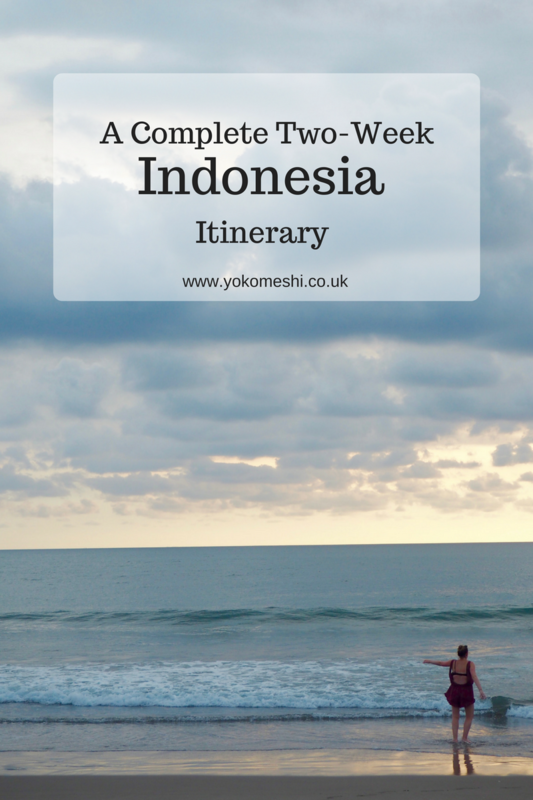 Need a final push to visit Gili T? 12 photos that will make you want to visit Gili T right now. After your return ferry back to Bali, head to Seminyak for one night, in my opinion, this is all that is needed there, I found this area extremely busy, more touristy and a lot more westernised than the other areas we visited. Where to stay in Seminyak – GrandMas Hotels – GrandMas Plus Hotel Seminyak puts you just where you need to be for a carefree holiday in Bali’s favourite lifestyle district. 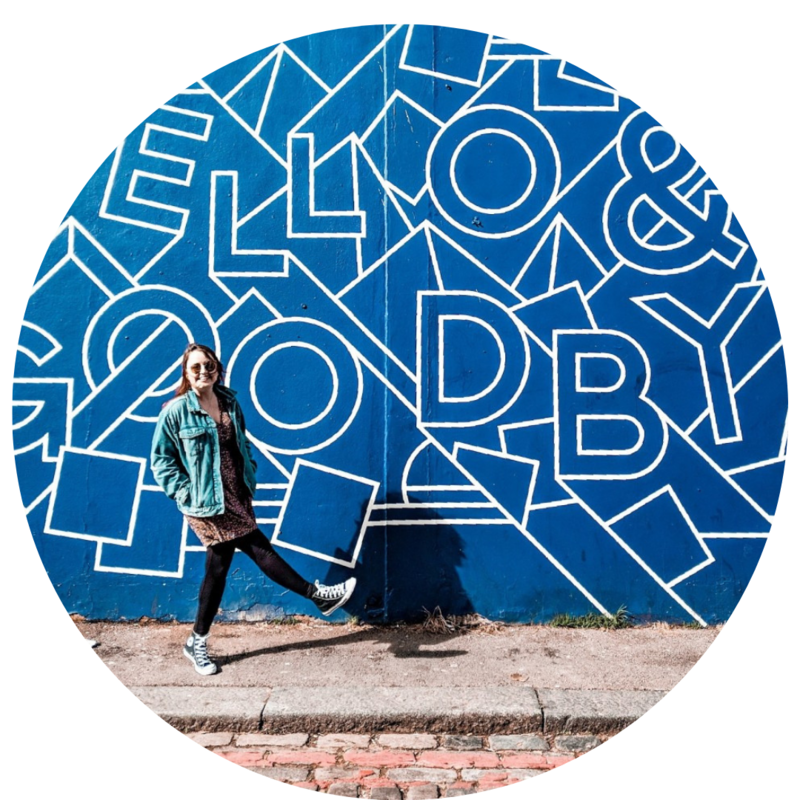 We are talking easy walking distance to the beach, great restaurants, shopping options galore and a colourful nightlife scene that will have you coming back for more. Join a traditional Balinese hands-on cooking class – You will be able to book this on the day and many places have signs advertising the availability. Get yourself someone off clothing in the many boutique clothing stores. Not an obvious choice when backpacking Indonesia for two weeks but it is one of the only two airports (the other being Jakarta) that fly to Pangkalan Bun airport (Borneo). Semarang is a city in Java that is yet to be touched by tourism and does not have much to do there but from here you can book a two-hour journey to the Borobudur Temple, we didn’t actually do this and it is my one regret from our trip. Where to stay in Semarang – Louis Kienne Hotel -Located 200 yards from Simpang Lima in Semarang, Louis Kienne Hotel Simpang Lima features a restaurant and free WiFi. Free private parking is available on site. 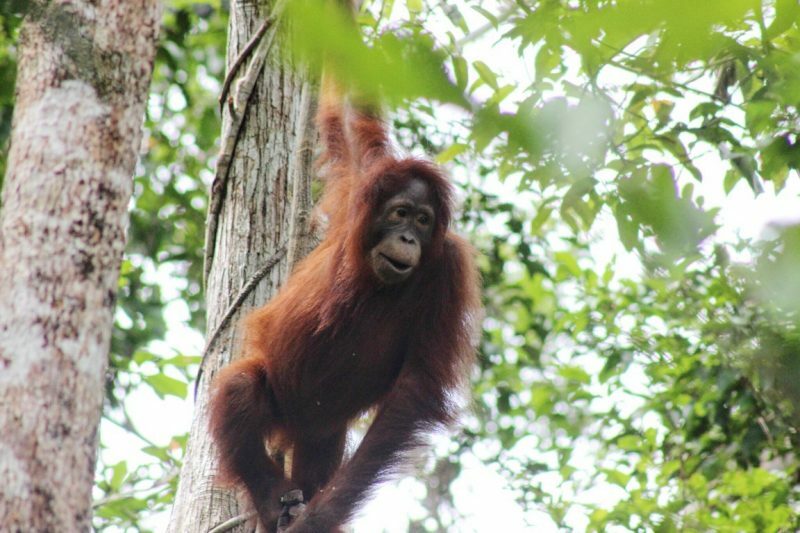 This was my favourite part of our 2 weeks in Indonesia as we went on a three-day private Orangutan cruise which can book here. 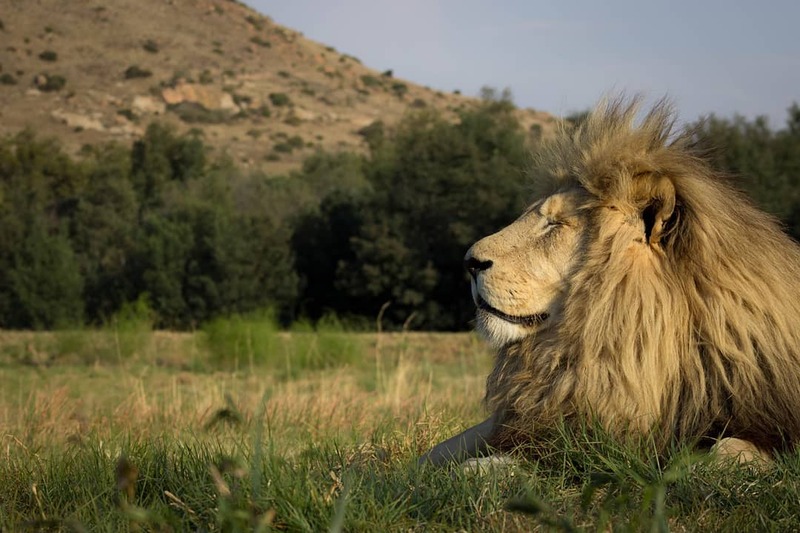 Your trip includes return transfers, food, accommodation and nation part entry. 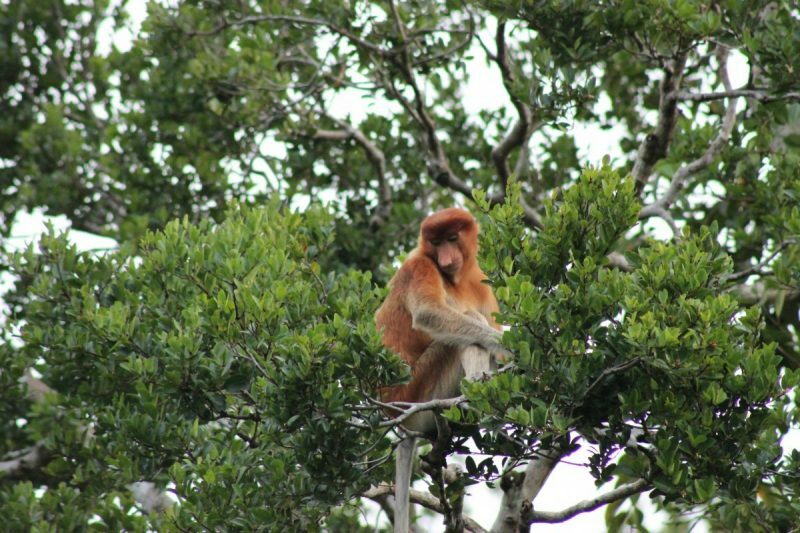 In my opinion, it is a must for any trip travelling around Indonesia and I really urge you to add it to your itinerary, you will spend three days of a private boat taking in the wildlife of the jungle and seeing wild Orangutan up close. Okay, so you have planned your route around Indonesia and hopefully, everywhere you are going to stay. Now you need to pack. Of course, you are going to need comfy travelling clothes which are also going to keep you cool in the heat, but what about the absolute essentials? Here is a quick summary of the absolute essentials you need to bring to on your trip to Indonesia. Jungle formula mosquito spray: There are tons of mosquitos in Indonesia, especially in the Gili Islands. Do not ruin your trip, your photos and potentially your health but skimping on cheap bug spray. I always use Jungle formula wherever I go, it is expensive but it is one of the best. Travel Adapter: Indonesia uses European-style two-pin round plugs so ensure you have these. However, if you frequently travel I recommend getting an all in one travel adapter for convenience. Reef-Safe Sunscreen: In the Gili Islands there are a ton of opportunities to go diving and snorkelling. We need to remember to be responsible tourists. Help preserve that reef by wearing reef-safe biodegradable sunscreen when you go swimming or snorkelling. Many sunscreens are not reef safe and contain chemicals which are harmful to the reefs and the creatures which live in them. Reef-safe suncream is formulated to be safe to the oceans. Some places such as Mexico and Hawaii will not let you in the ocean without a reef-safe sunscreen, and if you are on an organised tour will check, so invest in a decent, safe suncream. Reusable stainless steel straw: The people of Indonesia are really working on their single-use plastic waste. Continuing with the responsible tourist theme, invest in a reusable straw, I invested in this one and it folds down compact and comes with pipe cleaners to ensure it stays clean. When you get back from your trip just pop it in Milton for an hour and it will be sterilised to use it at home as well. Trespass 45L backpack: As you are going to travelling around I recommend a backpack over a suitcase. It is easier when moving in and out of cars and boats. When you are moving between hotels you can quickly chuck it on your back. I use a 45L litre backpack, which is one of the smaller side but works for a two-week Indonesia trip, invest in a good brand such as Trespass and it will last you well, here my review of the Trespass Inverary 45L Rucksack. If you are using a top-loading backpack then packing cubes are essential. In fact, I use packing cubes on every trip now regardless of whether I use a backpack or a suitcase, feel free to read my tips on smart packing and about my favourite packing cubes. What is Indonesia like to for Vegetarians? Indonesia is great for Vegetarians, a lot of the dishes are noodle or rice based, such as Nasi Goreng and Mi Goreng. Indonesian people cook a lot with tempeh, a soy-based product, be sure to ask for this as a substitute for this in restaurants instead of tofu, as it is much more readily available. I booked all of hotels and internal flights in advance, therefore I do not include the price of these in my budget. 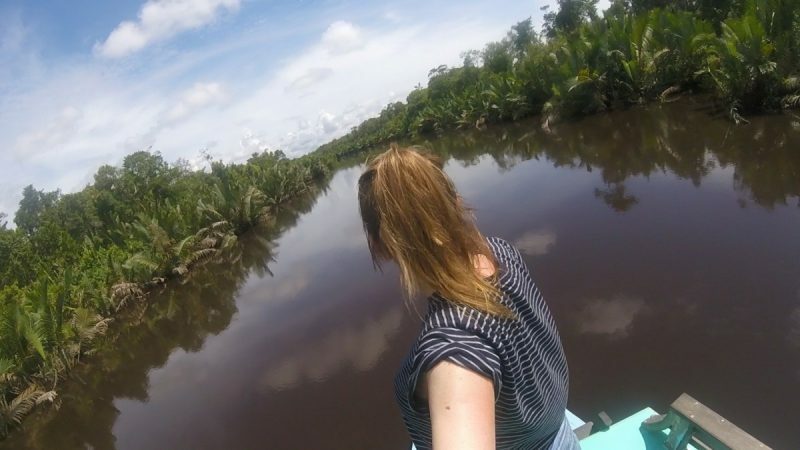 Over the course of the two week Indonesia trip I spent around £900, this included food, souvenirs, and excursions including our Oranguntan trip and scuba diving. I was happy with the amount I spent, as it included eating out every day and doing everything we wanted to do. It is possible to do it for a lot cheaper if you wanted to, while I did not find Indonesia as cheap as Thailand and Vietnam, the cost of living is less than what we are used to in parts of the west. 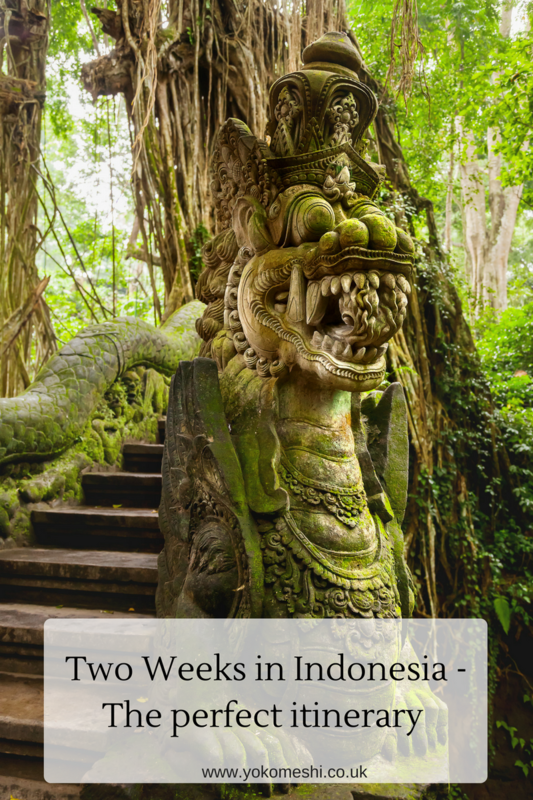 This two week Indonesia itinerary only touches the tip of the huge country of Indonesia but you will cover a lot of ground and see how much diversity it has to offer. 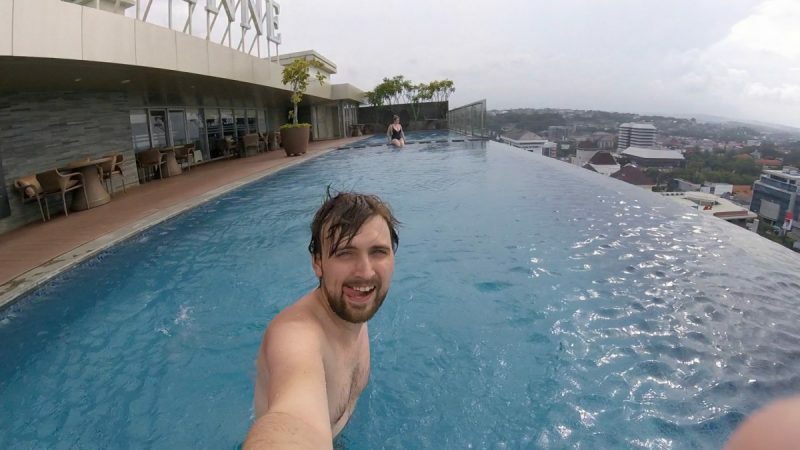 As we had just over 2 weeks annual leave we actually added on a layover in Kuala Lumpur, Malaysia as well, so this could an addition for your trip as well if time permits. Very useful post. Thank you. I’m planning a trip for 3 weeks in Indonesia and I am wondering if it’s safe and how expensive/difficult it is to move around to see the top places.